The primary objective of the revisions made to the Companies Act 1956 was to have a simplified law that will be able to address the changes taking place in the national and international scenario, enable the adoption of internationally accepted best practices and also provide flexibility in response to the ever-changing business models. One such aspect which was introduced in the Companies Act 2013 was the concept of Dormant Companies in section 455 of this act. 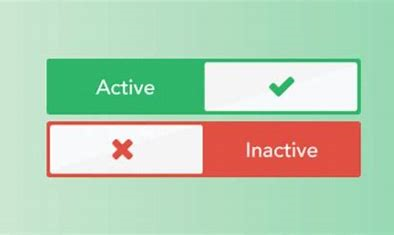 In common parlance, the word “Dormant” means inactive or inoperative. A dormant company is an excellent opportunity to start a company for a future project or hold an asset/intellectual property without having significant accounting transactions* On the other hand if a company has not filed its annual returns for two consecutive years then such a company will also be called as a dormant company. *Significant accounting transactions would mean transactions other than the basic procedural transactions i.e the payment of fees by a company to the Registrar and also payments to fulfil the requirements of this Act or any other law, allotment of shares to fulfil the requirements of this Act and payments for maintenance of its office and records. 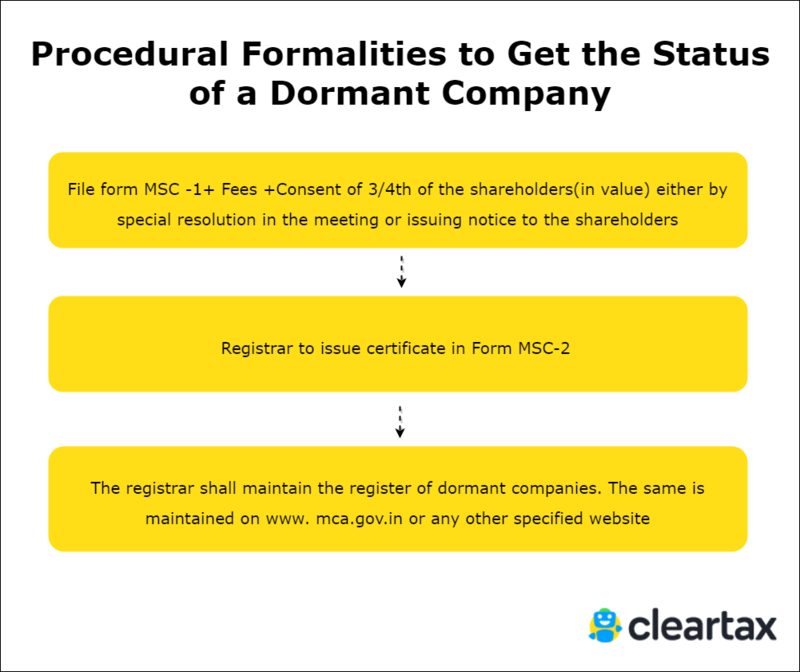 What are the procedural formalities to get the status of a dormant company? How to reactivate a Dormant company? Invest now shine later serves as a core policy of dormant companies. The companies are in a position to hold assets or intellectual property and use it later and why would they do this? Cost Advantage is the reason for it. Well, the restart is always better than a fresh start and dormant companies offer this advantage. So if a company chooses to take a backseat for a good reason then they can always restart when they want to, without further procedures subject to certain conditions. The longer you exist the greater you are valued. So as a dormant company, the company may not be active but it still has a status of a company in the eyes of law. There should have been no inspection, inquiry or investigation ordered/taken up/carried out against the company nor any prosecution initiated/pending against the company under any law. The company should have no outstanding deposits nor should have defaulted in payment of the amount or interest. The securities of the company should not be listed on any stock exchange within or outside India. Once the above points are done, the Registrar will issue the fcertificate in form MSC-5 allowing the status of an active company. In some cases, If the registrar has a reason to believe that the company that has applied for the dormant company status has been actually functioning, after completing enquiry and also after giving the company a reasonable opportunity to be heard, may treat the company as an active one. When the Companies Act 2013 was introduced everyone believed it was just an old book wrapped in a new cover. But aspects like dormant companies push across the concept in very clear terms.